« What Type of Yoga Should I Take? I took my very first yoga class about 15 years ago at my local YMCA in Ann Arbor, Michigan. Yoga was not as popular at that time and when I moved to Chicago, I relied on fliers and word of mouth to find a yoga class I enjoyed. Now, like most things, the internet makes it so easy to find a yoga class! If you are a yoga novice looking for your first class, or if you are new to Chicago and want to find a yoga group that fits your practice, check out Yoga Chicago. 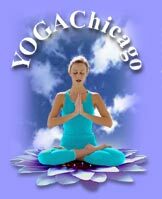 Yoga Chicago is a local magazine that has a complete directory of yoga classes in Chicago and surrounding suburbs. They also post articles and info about upcoming workshops and yoga oriented trips. To view a list of classes in your area, click on this link here. Read one of the interesting articles in the current issue of Yoga Journal, “Neuroscience, Hatha Yoga and Creativity: A New Paradigm for Teaching” by By Michael McColly. Click here to read his article.